Today we have written about the possibility of an iPhone X in pink gold color , fruit of the Dutch designer Martin Hajek , who has created some renderings with an incredible good taste. They show us a device of this color, with gold frames and black front. 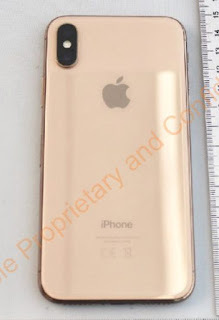 And today we have leaked some photographs that show us an iPhone X with similar characteristics , although the whole of the gold color is slightly different, resembling more a coppery gold of all soft, very similar to the iPhone 8. 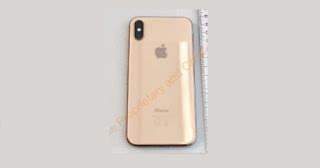 The model shown is curiously the logo CE , necessary to be marketed in the European Union and has the identification code A1903, being the iPhone X marketed the A1865, A1901 and A1902. The color may be nice and nice to see, but the most surprising thing about all this is that the images would have been filtered by the Federal Communications Commission of the United States (FCC), which does not mean that its launch is imminent but everything. contrary. And it is probably these photos are from last autumn, and this gold would be the third color next to the Silver and Space Gray, but for some unknown reason I would have discarded it . It seems very unlikely that Apple at this time to take a model of these characteristics , which has also not done with an iPhone X RED, as has happened with the iPhone 8 and iPhone 8 Plus this week, and will come at the end of month to Spain. Anyway, Apple is already fully focused on the three models that it plans to release this year 2018 , which would be in different sizes of 5.8 inches, 6.1 and LCD screen and a 6.5-inch OLED phablet , an unprecedented size in those of Cupertino. Irregular worldwide sales of the sensation of 2017 has led Apple to think of something else, as it is a terminal that has a fairly high price and although it has good performance, is being harassed by the latest releases from other manufacturers such as Samsung, Huawei or Xiaomi, which have been pushing very hard and are throwing the rest into their high range.